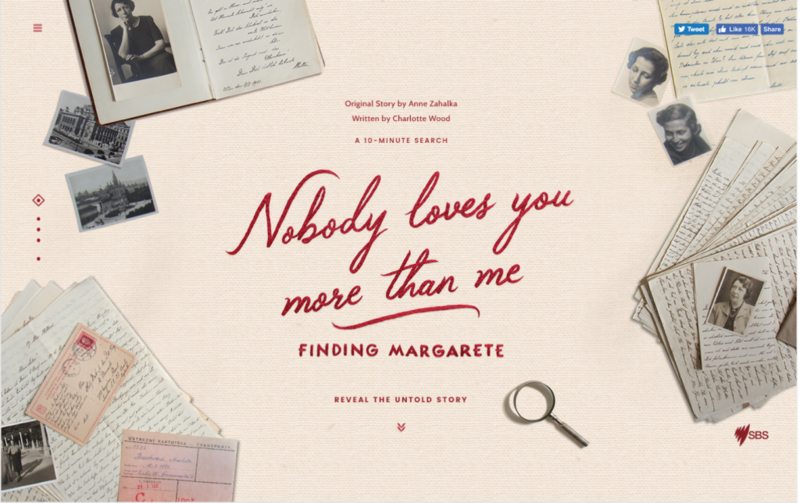 Nobody Loves You More Than Me: Finding Margarete is a new interactive text based documentary produced by SBS Australia which reveals the details of a life that have remained unknown for more than 75 years. Anne Zahalka, one of Australia’s most respected photo-media artists, has stepped from behind the camera to explore the story of her own grandmother, Margarete Back, who disappeared during World War Two. This beautiful and poignant story is written by Anne’s friend and one of Australia’s most original and provocative writers, Charlotte Wood.